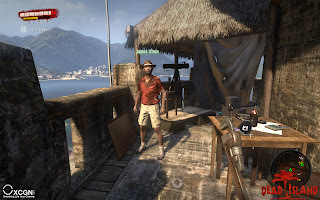 If you are an avid reader of the site, you will no doubt remember all of the fun coverage that we have had in regards to a little game by the name of Dead Island. We have brought you story points, videos, character info and even preorder bonus information. Now that the game is out none of that really matters. The one big question on everyone’s mind is whether or not the game is fun and worth the price of admission? Before I get too far into this review let me make a few points. First, I played this game on the Xbox360 so there will be some differences in the quality from the PC or PS3 versions. I am also playing a version that has been updated with all of the latest patches, so a lot of the initial issues being reported have been fixed for the most part. I am also for the sake of this review going to be bypassing the online portion of the game in order to give you a more streamlined review. Dead Island is ultimately what you make of it. Before you start to play it don’t think that this is going to be another Dead Rising or Left 4 Dead clone. Dead Island is ultimately a mix between action and RPG elements but more on this later. 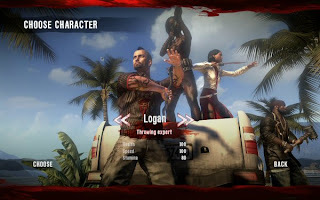 When you begin the game you are greeted by a cut-scene where you see the night when all hell breaks loose on the island, to the song “Who Do You Voodoo”. This scene does a good job of showing you all of the characters that you will soon be able to play as. The graphics in this scene do a good job of setting you up for what you will see throughout the game. After the cut-scene you are taken to the character selection scene where you are able to choose between four different characters. You choice on this screen will help determine the way you will play and the weapons that you will best be able to utilize. Upon selecting your character you are placed in the resort hotel and the gameplay begins. You are introduced to the basic controls and then out of nowhere the infected attack and you are forced to flee. You are unprotected the whole time, so it is definitely a great moment when you first get to pick up a weapon and help fight off the infected. The first question you are probably asking is how does the game control? There are two control methods to choose from: digital or analog. With the digital controls you utilize the right trigger to swing your weapon, whereas with the analog controls your swings coincide with your movements on the right analog stick. Most of my playtime was spent with the digital controls and I had no complaints. Controls seemed very responsive and I was able to hit all body parts that I was targeting when using either control option. If there is one thing that this game excels at it is creating an atmosphere coherent with that of a great horror movie. There are many moments where you will be scared when an infected islander latches on to you and you must fight to free yourself from their grasp. The moment when you are going into a building or down a path and hear the moan of the infected is truly a nerve racking one indeed. Speaking of the infected, they come in both slow and fast varieties as well as a few special ones strewn about that truly make for some nerve racking situations. Dead Island airs on the side of realism by utilizing a stamina system that many will find annoying at first (that is until you realize that kicking doesn’t use stamina). The weapons you pick up also have to be constantly repaired or they will break and you will be left to use your bare hands to take down the infected. These are a few minor annoyances that will serve to aggravate you until you can learn the intricacies of the game. One annoyance for many will be the respawn system. When you die you do not have to reload a checkpoint, you just lose money and are respawned near the point of your death with full health. The issue begins when you realize that you are left with weapons that have been used and may be unhelpful. Another nice touch to the game is its leveling system. You gain experience as you kill the infected and complete quests so there is always something to do to ever push you forward. As you gain a level you not only get more life and stamina but you also get to select special skills from one of three categories to level up. 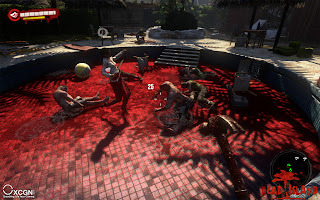 There is a certain degree of grinding if you want to reach level 50, but there is always enough to keep you busy and entertained whether it be slicing through the infected with a customized machete or running through them with a reinforced vehicle. The cut-scenes in the game are quite good, but there are minor graphical glitches from time to time. You will sometimes see a zombie stuck in a wall or clipping through a door. You will also notice that with your characters the kicking animations seem a bit off. Draw distances are sometimes off too resulting in graphics not fully rendering right away or having mountains pop-up out of nowhere. These are minor issues, but is one that needed to be touched upon There is also a bit of an issue where you will be playing by yourself one minute and then joined mysteriously by the other three characters during in game cut-scenes. Overall this is a great game. Many of the glitches that occurred during the initial release have been patched to the point where they are no longer issues. To get the most out of this game you must go into it looking at it as an adventure game. You will be going through the game having to plan your kills and sometimes run from fights. 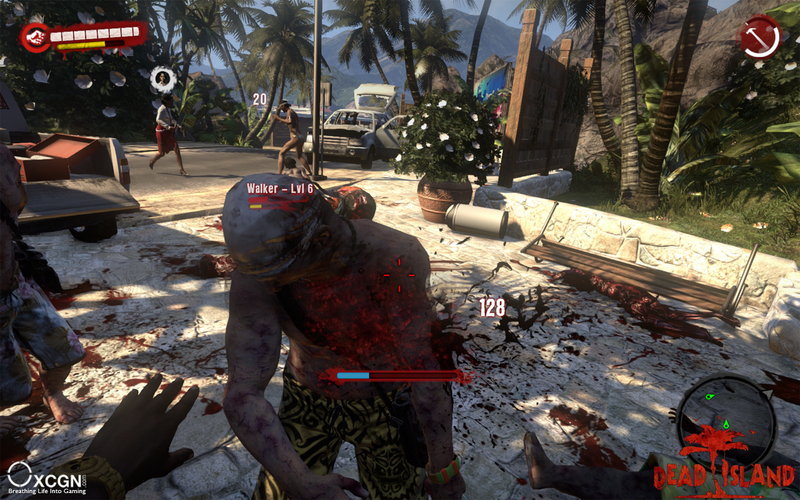 Dead Island is a game where the simple run and gun will no longer work. You will find 20+ hours of fun killing the infected, crafting weapons, helping survivors and trying to survive your stay on the island. 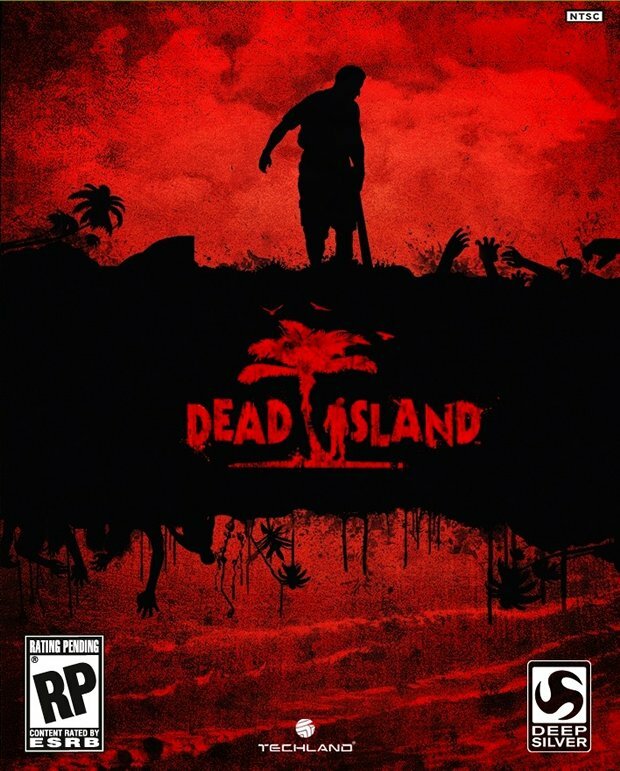 If you enjoy a good adventure game and the feeling of needing to survive at all costs then run out and pick up this game. 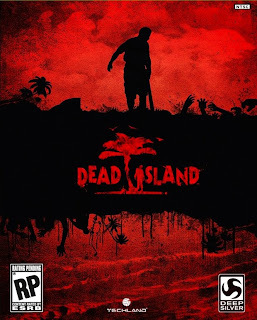 Dead Island will make a great addition to the library of anyone with a PS3, XBOX360 or PC.